Note: Multiple updates at the bottom. Sad news, Facepunch are no longer selling the Linux version of their survival game Rust [Official Site] after removing mentions of Linux support yesterday from their Steam page. Linux support has been available in Rust since 2013, along with continued support during Early Access and after the official release earlier this year. It was a bit of a surprise that we got an email from a reader, to mention that the Steam store page for Rust was no longer showing the SteamOS/Linux icon or listing it in the system requirements. Hey dude - yeah we stopped selling Rust for Linux. I did request more information as to why and will update this article if I receive any further information. To be fair, they haven't had a lot of time to respond again yet, but I feel it's important to get the word out. It's possible it's due to issues with the Unity game engine, which has suffered some nuisance problems with their Linux support lately. We've gone through black screens, no input in fullscreen and the latest being double-input issues—all issues that have plagued a number of games that use Unity. All of which have been solved in updated versions of Unity though. Still, it has become more of a hassle for developers to support us due to issues like this repeatedly coming up. To be clear on something though, it might only mean that they're not actively advertising it as a Linux supported game, while still allowing Linux users to buy it and play it—something a few other developers do as well. I highly doubt they would actually remove the Linux version, after it being around for so long. Really sad about this, we have an active community-run server with plenty of people enjoying themselves on it. Sin has livestreamed plenty of it on our Twitch Channel, purchased skins and all. With all the additions to the game, it was really becoming quite interesting. Even I was also going to be jumping back in soon, so this has me a little down as I did quite enjoy the game as well. As always, please remain respectful in the comments. Issues like this can become quite heated, but let's not go throwing any insults around. Now is a time to show your support, not have a war of words. We stopped selling Rust on Linux because we won't/don't give it the QA support it needs. There are situations where there's a Unity Linux bug that pops up, and we ship with it - because it's the right decision for 99.99% of our players. And while 60% of Linux users are fine with this, they understand their position in this world, it's probably not the right thing to act like it's fine. So while we're still going to ship Linux updates and keep it up to date.. we're not going to sell it anymore. Also Linux Community - being abusive, demanding, rude to the few developers actually shipping games to your favourite OS isn't the way to go. It makes me regret ever shipping Linux versions. I've said it before and I will say it again: Developers are human, people do need to understand that and not resort to throwing insults around right away. Even so, if you sell a game on any platform you should be doing QA on it—there's no excuse for not doing it. Linux is and will still be supported but the decision to remove Linux from purchase was mainly based on multiple issues in the current Unity version (2018.1.4). We're currently unable to downgrade to a Unity version which corrects these Linux issues and we're unable to upgrade Unity to 2018.2 due to a number of new issues. Linux is in a state of limbo in which we're unable to resolve, instead of selling a broken platform we decided to remove it from purchase but still offer it to existing players. Once Linux is in a working state we'll review the decision. Hat tip to Basiani for letting us know. It's often hard to not be heated when talking about Facepunch and specifical Garry. He is very openly anti-Linux and has been since I can remember. I believe the only reason it was ever supported was that they were a new indie shop and needed all the sales they could get at first ( or at least felt that way before knowing it was going to be as big of a hit as it was ). I don't have much good to say about Garry or Facepunch simply because of Garry's open hatred and constant outrage of our platform. I haven't played rust in forever so it's not a major loss for me, but it's a pretty huge loss for our platform and that makes me sad. But it is what it is. I wonder if they are actually allowed to remove the platform support. It would mean that their customers are left without the product they paid them for. So that in turn would mean either a bunch of refunds or legal issues. 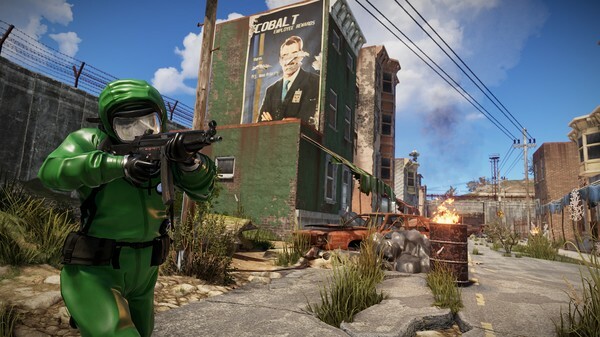 Considering that Rust is a multiplayer-only game, stopping updating the game would mean roughly the same — the existing Linux players wouldn't be able to play anymore. This statement must be clarified. jasonm It's often hard to not be heated when talking about Facepunch and specifical Garry. He is very openly anti-Linux and has been since I can remember. I believe the only reason it was ever supported was that they were a new indie shop and needed all the sales they could get at first ( or at least felt that way before knowing it was going to be as big of a hit as it was ). I don't have much good to say about Garry or Facepunch simply because of Garry's open hatred and constant outrage of our platform. I haven't played rust in forever so it's not a major loss for me, but it's a pretty huge loss for our platform and that makes me sad. But it is what it is. We initially made this mistake. He's not anti-Linux, but someone who is actually a lot like me, quite blunt and sarcastic which some people end up reading as them being against something. I wouldn't say he was actually against Linux, not at all. That's why you don't support that toxic guy Garry and everyone who's working with him. I hope they keep the Linux version at least around, that's what I paid for. But I'm curios as well why it has been removed. Removing support silently (not advertised and not on their roadmap) is a bad move, the one which has the more chances to lead to disrespectful comments and harm their reputation. Telling openly your customers that you remove support (definitively or temporary) for whatever reasons they may have (technical, financial etc.) is the only way to go... Seriously, they never learn anything? Egonaut That's why you don't support that toxic guy Garry and everyone who's working with him. Meh, he is straight forward, blunt and sarcastic. Toxic isn't really the right word. My experience with Rust on Linux was mid-June of this year. First, it crashed, so I restarted. Then I joined a queue to start a MP game. After waiting for ~15 minutes to join the game, it crashed again. Never played it again, 0.4 hrs on record.